LUCASVILLE, Ohio -- An Ohio inmate was executed Wednesday for choking and stabbing to death a man he met in a bar in 1985. 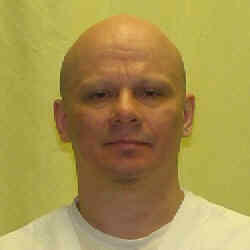 The execution of Robert Van Hook by lethal injection was carried out at the Southern Ohio Correctional Facility. Prison warden Ron Erdos announced the time of death as 10:44 a.m. The family of victim David Self supported the execution, telling the parole board last month that he is missed every day. Self's sister, Janet Self, said her brother had been reduced over the years to "a gay man in a bar," when he in fact he was so much more. Last week, Hamilton County Prosecutor Joe Deters said he wants the state to bring back death by firing squad amid complaints about lethal injection. Deters, who said that capital punishment "is not supposed to be a pleasant experience," made the comments during an interview about a denied stay of execution request for Van Hook.